View Angle:70 degreeFocal distance: 5cm-infinate. Compatible: Waterproof Underwater camera detection, Narrow pipeline detection (sewers, drains); Machinery Inspection; Motor vehicle parts detection; Security/Criminal Detection; Archaeological Detection; Home Care; Petroleum drilling industries; Construction and much more. 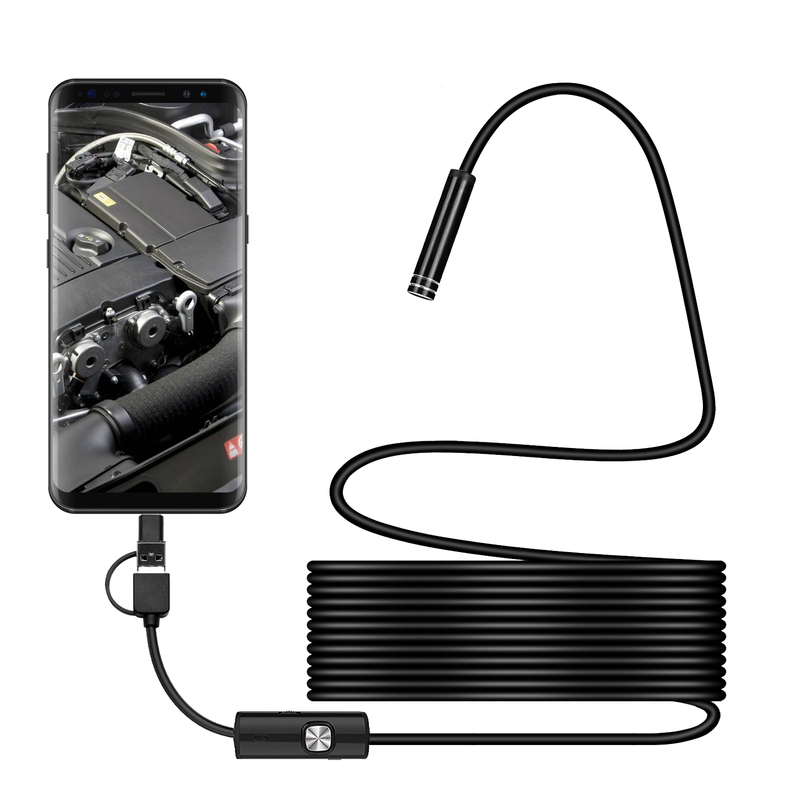 3 In 1 Smartphone inspection camera? An Easy- to-use Borescope – Our inspection camera has an intuitive function that is easily understood. All you need to do is plug in the USB port on your computer or your smartphone, Scan the Phone APP QR code or www.kkmoom.com/an97.apk and download “OTG SEE”, and install it; they sit back and enjoy!. 3 in 1 Support for Windows, Macbook, and Android – Better compatibility than other brand endoscopes, never worry about the compatible issue. 4. Adjust the LED light and camera lens to suit your requirements and enjoy the experience!